MIAMI, Florida (March 4, 2019) – Spain-based Melia Hotels International has announced that Circle by Melia, its newest international membership program, and Circle at Paradisus Palma Real, a brand-new luxury all-inclusive resort in Punta Cana, Dominican Republic exclusively for members, have been named finalists in three categories of the prestigious American Resort Development Association’s ARDA Award of Excellence for Logo Design, Digital Products: Website and Resort Interior Design. “It is truly an honor to be recognized among the best of the best in the industry by ARDA. 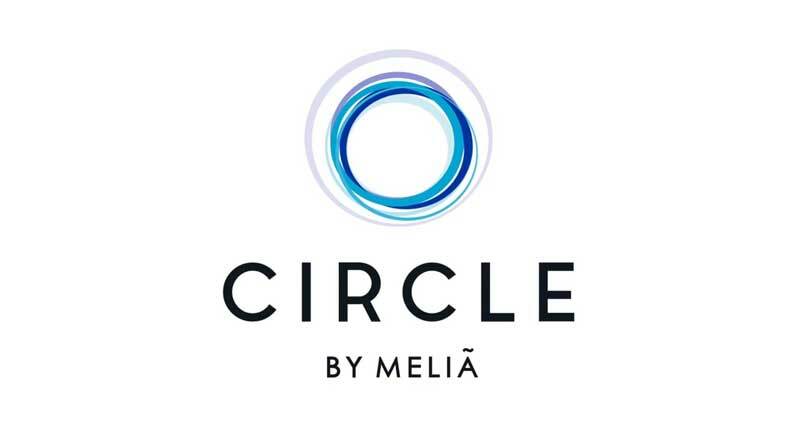 We take great pride in raising the bar in member experiences, benefits and privileges,” said Victor Hugo Charco, vice president of sales and marketing for Circle by Melia. The Washington, D.C. based American Resort Development Association (ARDA) is the global trade association representing the vacation ownership and resort development industries. ARDA holds its annual conventions to recognize excellence and outstanding leaders in the industry. Finalists will be announced live on April 10, 2019 at the Awards Gala of the ARDA World 2019 Annual Convention and Expo in Orlando, Fla.
Circle by Melia redefines vacation ownership for the modern traveler with infinite vacations, luxury and services. Life enriching experiences feature cooking classes with a resident chef, health and wellness in BURN which is inside the state-of-the-art spa and fitness facility with dedicated small group instruction, water sports and water activities, world-class golf instruction and golf analytics, and much more. Circle at Paradisus Palma Real, combined with the adjacent The Grand Reserve, offers 432 one and two-bedroom suites include living and dining spaces ideal for entertaining, soaking tubs and walk in showers, private secluded balconies with hydro-massage whirlpool tubs and outdoor living spaces. Ground-level Swim-Up Suites have direct access to an exclusive pool, complete with lush garden areas and a solarium. Members also experience the latest technology at Circle at Paradisus Palma Real with key-less entry to rooms and BLAST!® water park, as well as brand-new Alexa automated request system in each room and an exclusive Melia app. The member resort features 14 specialty restaurants and bars, including new concepts and culinary experiences. Designed in the shape of a circle, the universal symbol of wholeness and perfection, the Circle by Melia member resort provides the most luxurious experience in Punta Cana, located just 30 minutes from the Punta Cana International Airport on Playa de Bavaro and adjacent to the new Grand Reserve at Paradisus Palma Real. Paradisus by Meliá is a luxurious, all-inclusive hotel brand owned and managed by Meliá Hotels International, one of the most successful family-owned hotel companies worldwide. The properties are located in some of the world’s most breathtaking destinations, as well as emerging hotspots, offering the ultimate guest experience. The luxury hotel brand currently has 11 hotels in Cuba, Dominican Republic and Mexico, such as Paradisus Palma Real and Paradisus Punta Cana (Dominican Republic), Paradisus Cancun, Paradisus Playa del Carmen and Paradisus Los Cabos (Mexico), all surrounded by stunning gardens, with beach-front views that reflect the natural beauty of the destination. 2018 and 2019 will see new openings in Mexico, Costa Rica and Cuba. Committed to health and well-being and environmentally conscious, each resort offers a range of authentic, personalized, Life Enriching Experience activities such as yoga, YHI Spa treatments, water sports and cooking classes. Guests are encouraged to immerse themselves in local experiences, from guided tours and offsite excursions to a superior culinary program available at each resort. Paradisus by Meliá offers unique room categories and luxury upgrade options, including Royal Service (adults only) and Family Concierge (families only), which are ideal for a wide range of guests: couples, family holidays, weddings and business trips. Founded in 1956 in Palma de Mallorca (Spain), Meliá Hotels International is one of the largest hotel companies worldwide, and the absolute leader within the Spanish market, with more than 380 hotels (current portfolio and pipeline) throughout more than 40 countries and four continents, operated under the brands: Gran Meliá Hotels & Resorts, Paradisus by Meliá, ME by Meliá, Meliá Hotels & Resorts, INNSIDE by Meliá, Sol by Meliá and TRYP by Wyndham. The strategic focus on international growth has allowed Meliá Hotels International to be the first Spanish hotel company with presence in key markets such as China, the Arabian Gulf and the US, as well as maintaining leadership in traditional markets such as Europe, Latin America and the Caribbean. Its high degree of globalization, diversified business model, consistent growth plan supported by strategic alliances with major investors and commitment to responsible tourism are the major strengths of Meliá Hotels International, being the Spanish Hotel leader in Corporate Reputation (Merco Ranking) and one of the most attractive to work worldwide. Meliá Hotels International is included in the IBEX 35 Spanish stock market index. Follow Meliá Hotels International on Twitter @MeliaHotelsInt and Facebook meliahotelsinternational. www.melia.com. Press Contact for Information and images: KHA Public Relations, kathy@khapr.com.